Welcome to Inside the Theme! 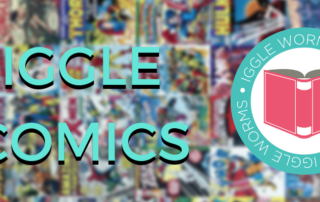 Each month we ask the IGGPPC staff to answer a few questions about the theme of this month’s pen pal round. 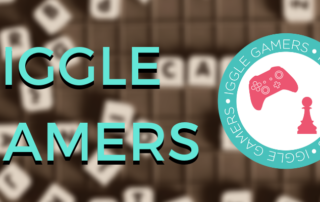 This month the IGGPPC turns 6! Happy birthday to us! 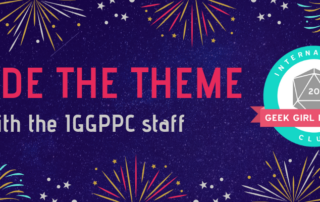 In celebration, we asked our Patreon supporters what they wanted to know about the IGGPPC staff at the age of 6. Check out these wee staffers! 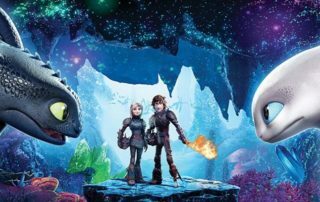 How to Train Your Dragon: The Hidden World (2019) opens today and brings a close to the saga of Hiccup, the viking who couldn't hunt dragons, and Toothless, the Nightfury he befriends. Two years into a tabletop games hobby, we have lots of board games we haven’t played yet. We collect, we back Kickstarters, we shop in board game stores when we go on holiday, and I bought my husband a fancy-shmancy board game table. Out of this was born our 2019 challenge: 104 games in 52 weeks! We are starting the year with Captain Marvel, since in advance of the new movie (we are all going right? ), I figured it is past time to read one of the seminal stories that created the character we will see in the film. Let's read! 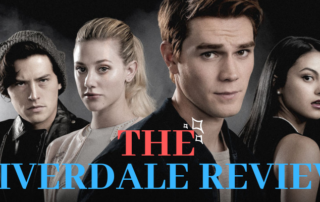 Today we're going behind-the-scenes of Turn with creator Brie Beau Sheldon to learn a little bit about the team behind the final product, the process that they went through, and what Turn is all about. No Excuses November: Let’s Get Healthy and Fit! November is commonly "No Excuses November" in the fitness world; we're going to take that one step further and take a 3-pronged approach to your wellness this month. We'll be focusing on physical fitness (exercise), mental wellness, and healthy eating habits. To kick off our monthly/semi-monthly challenges once again, we are going to start with the Couch to 5K (C25k) program! For anyone not familiar with the program, the idea is to get you from couch potato to able to run a 5k in just 9 short weeks by following a specific program 3x per week. It is never any fun going to parties with your friends or hanging out in the heat when you have to follow a certain way of eating, but never fret: these Berry Cheesecake Fat Bombs won't leave you feeling deprived. Melty, drippy chocolate, charred yet gooey marshmallows, crunchy graham crackers - mash 'em together - and add a little fire - to create a legendary combination hallowed by IGGPPCampers the world around. (Literally.) S'mores are a quintessential part of the summer camp experience! By IGGPPC|2018-10-01T22:03:59+00:00August 10th, 2018|General|Enter your password to view comments.